calibrations according to its scope of accreditation which is available on the LAB/ANAB website. ILAC (International Laboratory Accreditation Cooperation ), MRA (Mutual Recognition Arrangement). optical time domain reflectometers, etc. Coral-i Solutions understands the needs and importance of having test instruments that operate consistently, efficiently and effectively. Key to this need is the provision of after sales service and support. To maintain the high standards of Coral-i Solutions test instruments, or any other manufacturers instrument, periodic calibration and servicing is required. This forms a vital part of the maintenance procedure for any test instrument, and gives you confidence in using your tester knowing that it is still performing within the manufacturers specification. Without periodic calibration an instrument can fall out of the manufacturers specification unrecognised and potentially lead to faulty test readings - which you could be liable for! 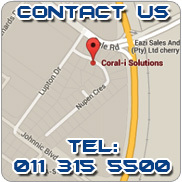 With Coral-i Solutions Service and Calibration department you can have confidence in using a quality approved company as we have a team of highly trained technicians and engineers with over 100 years experience in total. Finally dont forget a correctly calibrated item will save you money and in the end pay for its calibration through long-term reliability!